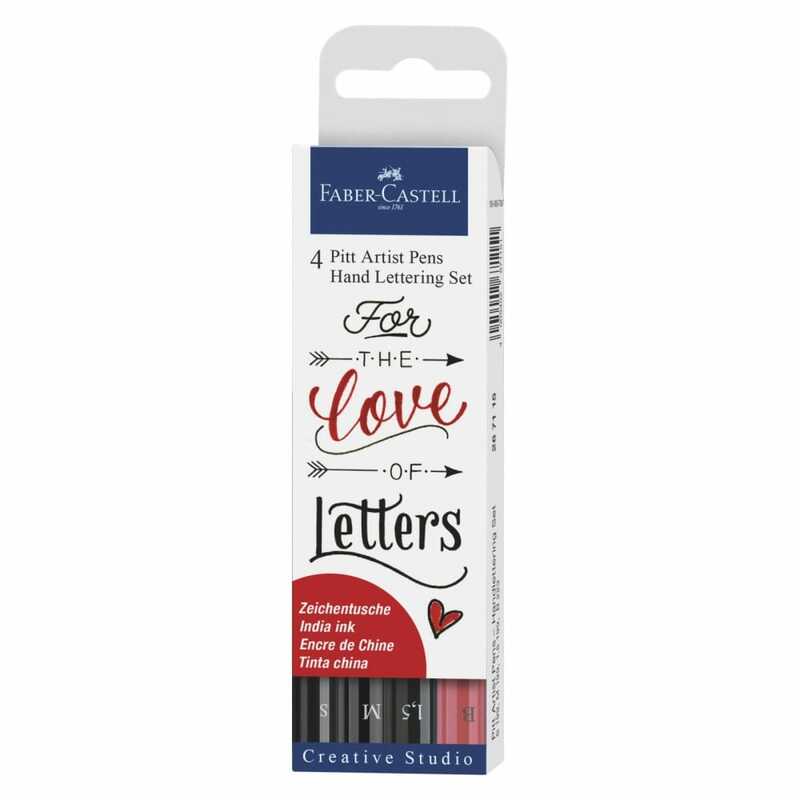 Ink drawings have a very long artistic tradition this set has been especially developed along side hand lettering artists. This has always been an interesting medium for artists and graphic artists, it lends drawings expression and durability and can also be combined with many other drawing techniques. Faber-Castell has combined all the advantages of artist's inks with the benefits of a modern, easy-to-use disposable pen - the Pitt Artist Pen. The pigmented and very lightfast drawing ink is ideal for sketches, drawings, layouts, fashion design and illustration.